Riding bikes with stylish uppers is great. This leather outerwear is a perfect combination of style and solace. Your elegant identity is inadequate without this alluring Mens Asymmetrical Jacket. 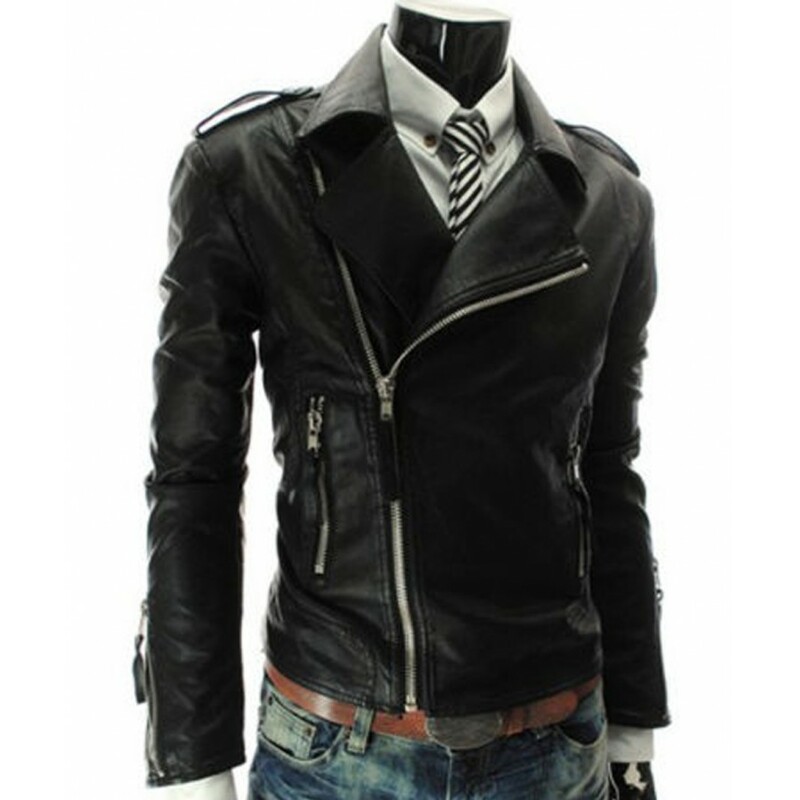 This phenomenal jacket is manufactured in Genuine and Faux as well. Fully lined with viscose to reach the highest quality of comfort. 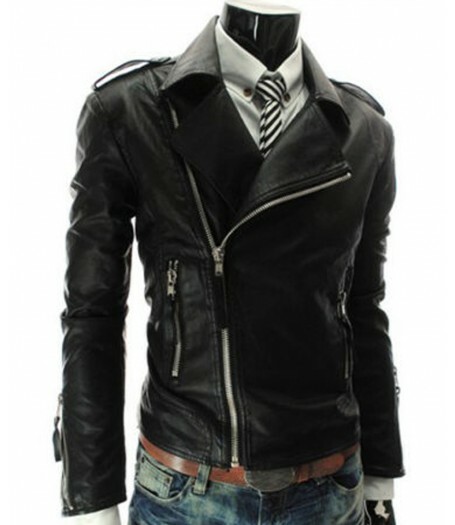 The jacket has notch style lapel neckline, which leads to asymmetrical zipper fastening. The sleeves have zipper cuffs which gives a sophisticated look. 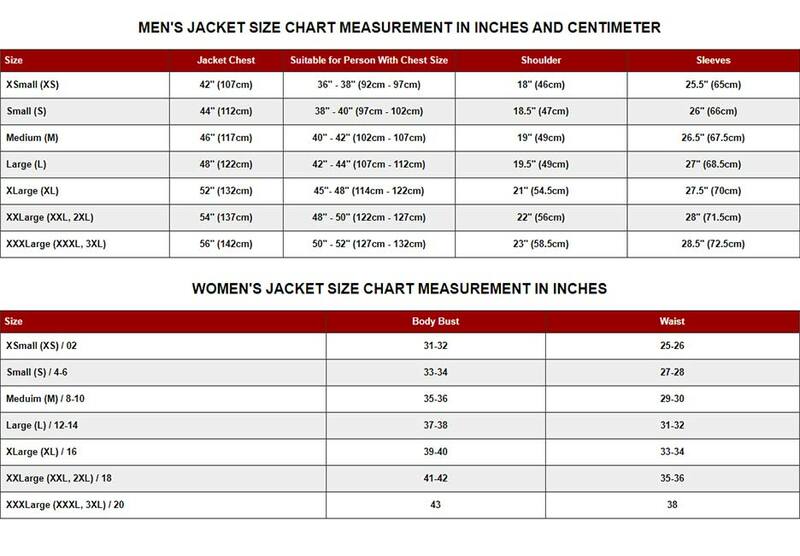 In addition, stitching details and cuts on Slim Fit Motorcycle Jacket look so distinctive. Two vertical zipper pocket on waist are present. Shoulder bears button straps. The elements of this jacket are very pleasing to the eye without a shadow of a doubt.